Screenwriter, Playwright, Poet and Storyteller. Bill has had many playwriting credits in youth, community and professional theatre. He has also directed a number of theatre plays and short films, as well as being a qualified drama worker. 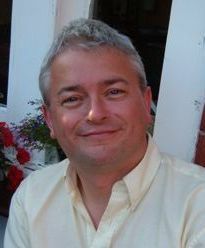 He has written for television and worked on The Bill and Brookside. Bill has also completed his first novel for children entitled Camp Boot, which should be published in 2010. He has also been a storyteller in Museums, Libraries, Storytelling Clubs as well as other venues. Bill created and ran the first intake of the MA in Screenwriting at Liverpool John Moores University and has also lectured in Creative Writing at Liverpool University for over ten years. "Bill stimulates interest in children by bringing a different perspective to the classroom, not just because he's a professional writer but because he's so passionate about his subject."